The Economist published an interesting, if alarming, piece on Saturday exploring the explosive intersection of shifting weather patterns, political extremism, and the movement of heavy weapons in the Sahel region of Africa (for those who are unfamiliar, the Sahel constitutes the 5,400 km-wide arid and semi-arid plains south of the Sahara desert, and north of the more water-rich Sudanian Savannahs, stretching like a vast ribbon from the Atlantic Ocean to the Red Sea). The article traces the surge in available heavy weapons on the market back to Libya, and the rise in extremism to a combination of humanitarian disaster (which has made jihadi recruiters more appealing) and disaffected Tuareg tribesmen (many of whom were also Gaddafi loyalists). However, though it touches on shifting weather patterns and the rise in water temperatures that have led to widespread decimation of livestock (exacerbated by perennial issues of population growth and the over-grazing that follows) the article does not explore the potential or likely ultimate causes of these dramatic changes in weather and water temperature. 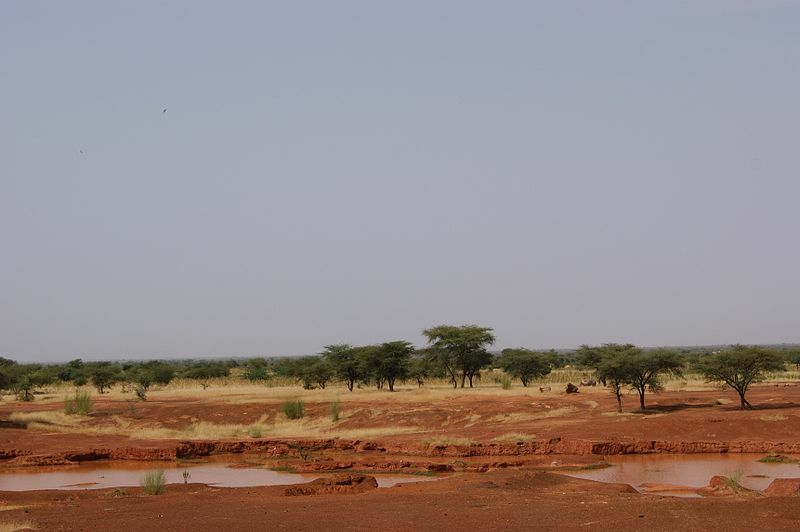 This is surprising, especially given strong evidence that climatic conditions in the Sahel have been steadily growing worse, particularly in regards to rainfall levels. According to at least six studies of this phenomenon, highlighted by UNEP in 2006 (see page 3), “the second half of the 20th century has witnessed a dramatic reduction in mean annual rainfall throughout the region.” A 2005 NOAA report attributed the low rainfall to changes in sea surface temperature (likely caused by a combination of natural variability and human-induced change), and both a NOAA study in 2006, and another by Shanahan et al in 2009, attributed drought in the West African Sahel to the Atlantic Multidecadal Oscillation, which is responsive to sea surface temperature changes. Recent years have perhaps been the worst. 2010 saw Sudan, Chad, and Niger reporting their hottest temperatures on record, along with six other countries across the globe. While every article published on unrest in the Sahel cannot delve into the intricacies of climactic effects on the region, policy-makers, including in the security world, will certainly need to heed these trends. Particularly in such a vast region of extraordinary vulnerability and volatile instability. By Francesco Femia & Caitlin Werrell in Africa, climate and conflict, climate and security on March 19, 2012 .